Andrea “Andy” Hayes is the assistant vice chancellor for Civil Rights, Title IX & ADA at the University of Missouri. She previously served in an interim capacity and is responsible for assuring compliance with all Title IX laws, monitoring university policies related to Title IX, overseeing grievance and equity resolution procedures, and providing educational materials and training for the campus community. The Office for Civil Rights, Title IX & ADA enforces the university’s non-discrimination policies, educates the community about the university’s policies and practices, connects people to resources that can support them if they experience discrimination or retaliation, and listens to the concerns of the campus community. Hayes has been serving as the interim assistant vice chancellor since Sept. 1, 2017. During this period, she has forged partnerships both on and off campus, served on committees and taskforces, and has built the office’s team. The Office for Civil Rights & Title IX staff now includes an Affirmative Action and Equal Employment Opportunity Manager, who will serve all of campus, and new members on the investigative team. From January 2016 to August 2017, she had worked with EdCounsel, a law firm dedicated to the representation of public school districts in both general counsel and litigation matters across the states of Missouri and Kansas. 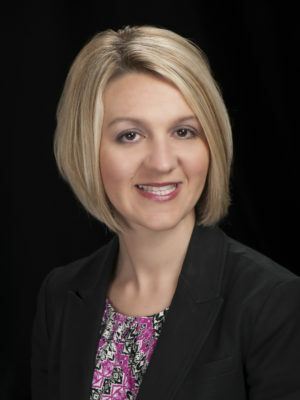 Previously, Hayes served as an assistant prosecuting attorney for Boone County. From 2007 through 2015, she prosecuted thousands of cases, including misdemeanor assaults and first-degree murder. She also worked closely with survivors of domestic and sexual assault. Along with many jury trials, Hayes successfully argued cases in both the Eastern and Western District Court of Appeals. She was also an assistant prosecuting attorney in Audrain County. Hayes replaces Ellen Eardley, who announced in July 2017 that she would resign from MU’s Office for Civil Rights & Title IX to return to private practice.